Executive Chef David Maini of Michael Jordan's Steak House at the Mohegan Sun in Uncasville, Connecticut tributes his success and passion for cooking to his grandmother. His fondest memories are of being in her kitchen and learning to cook as he watched her in action. He graciously shares a delicious taste of the restaurant with his recipes for Waygu Tartare and Pan Seared Grouper that would make his grandmother proud. 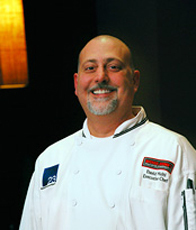 Although Chef David Maini was born and raised in Rhode Island in the United States, he has a diverse international culinary background having lived and worked throughout the United States and Europe before joining Michael Jordan's group of restaurants. His grandmother grew up in Florence, Italy before moving to the United States, and from her he learned tradition and passion for cooking. By the time that he was 12 years old, he started working as a dishwasher in the family restaurant, learning the business from the ground up. He honed his culinary craft at the Rhode Island School of Design where he graduated from their culinary program, which he described as a wonderful experience. Upon graduation, he worked at Caesar's Palace in Las Vegas, as a Corporate Chef for Morton's, had his own restaurant in Atlanta, and worked throughout Europe developing his technique and individual style. His vision for the two Michael Jordan restaurants that he runs is to keep it fresh, keep it different. He likes to change the menus at least twice per year; however, at the request of the regular customers, he tries to keep at least some of the items on the menu constant. Chef David Maini's philosophy is that cooking is the most social thing that we can do, and a chef's job is to please others, which in turn gives pleasure to the chef. It is important to remember that it is all about the diner. He feels fortunate that there are so many local farms in the area, many local purveyors of organic products, and of course, New England has great seafood so his choices for quality products are endless. When not working in the kitchen, he enjoys spending time with his wife cooking at home together or going out and dining at new restaurants. He graciously shares his recipes for Waygu Tartare and Pan Seared Grouper. Method: In chilled mixing bowl, combine all ingredients. Mix thoroughly. Using a small square, or triangle mold, neatly shape mixture, centered on plate of choice. 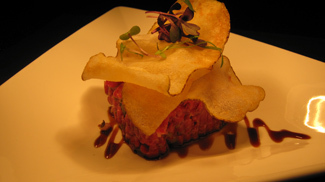 Garnish Tartare with fresh made Yukon Gold potato chips seasoned with white truffle, fresh rosemary, thyme, salt, and pepper. Method for squash puree: roast 1 lb of butternut squash (or favorite squash) with butter, honey, salt, and white pepper in 350° F (177° C) oven for 30 minutes, Puree with vegetable stock, whole butter, and splash of cream, reserve. Method for truffle butter: soften 1 lb of unsalted butter, mix in black truffle shavings with 1 tablespoon of truffle oil, and refrigerate. Method for grouper: In sauté pan, heat olive oil, season grouper with salt and pepper and sauté 3 minutes each side. Place in 350° F (177° C) for an additional 9 minutes until just cooked through. 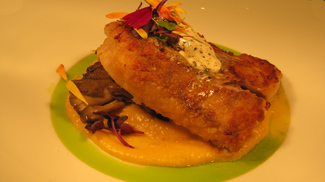 Presentation: In large bowl or raised plate, make pool with puree, sauté mushrooms in butter, and place around puree. Place fish on puree, add truffle butter dollop over fish, add basil oil around puree, top fish with organic seasonal micro greens, and serve. Michael Jordan's Steak House serves dinner Sunday through Thursday from 5:00 pm until 11:00 pm, and the lounge is open from 4:00 pm until 11:00 pm. On Friday and Saturday, the restaurant serves dinner from 5:00 pm until midnight, and the lounge is open from 4:00 pm until midnight. Read about Michael Jordan's Steak House in the Restaurants section. 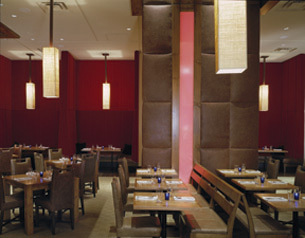 Read about Mohegan Sun Hotel in the Hotels and Resorts section.